Brief Synopsis – A former bank robber gets out of prison and tries to get her life back on track, but her past comes back to haunt her. My Take on it – I saw this movie once over twenty years ago when it came out oin the theater and I must say I’m quite glad I didn’t remember how bad it was because then I probably wouldn’t have rewatched it now. 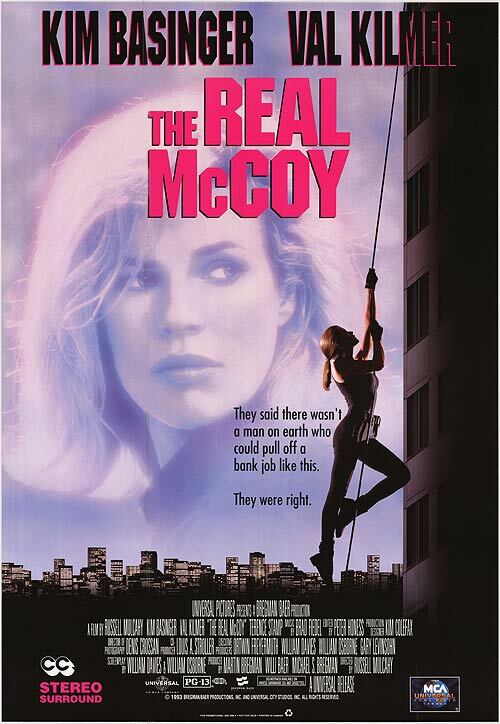 Even with a cast like Kim Basinger, Val Kilmer and Terrance Stamp, this movie goes nowhere very fast and stays there. The plot itself is quite silly and the characters aren’t that much better. Even a gifted and talented actor like Stamp does a really bad phony Southern accent and doesn’t help the situation. Basinger and Kilmer have absolutely no chemistry together and even their joint story feel so stupid and silly. Bottom Line – What a turkey! None of the characters were interesting, Even a great actor like Terrance Stamp just phones it in with his phony southern accent. Plot is silly and Basinger and Kilmer have absolutely no chemistry together at all. Skip It! Genre Grandeur Worthy? – Not even close, this was such a bad movie.